Registered Annuities – Income from an annuity purchased with registered funds is fully taxable to the policyholder in the year it’s received. 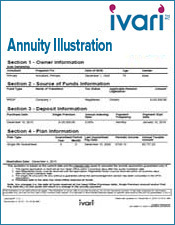 Non-registered Annuities – Income from an annuity purchased with non-registered funds can have prescribed, non-prescribed (accrual) or level tax treatment. 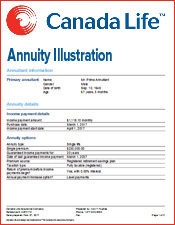 Withholding Tax – Canadian witholding tax is mandatory for annuities purchased with RPP (locked-in and non locked-in), LIF or DPSP premiums. 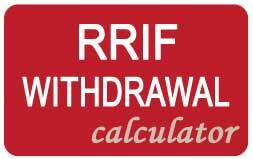 If you are a non-resident the applicable rate of withholding tax will be deducted for any annuity that has been purchased. Income from an annuity purchased with registered funds is fully taxable to the policyholder in the year it is received. Income from an annuity purchased with non-registered funds can have one of three different tax treatments – prescribed, accrual or level. 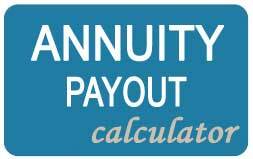 During the payout period, prescribed annuity payments are considered to be a level blend of interest and capital. That is, a fixed portion of each annuity payment will be taxable. The policyholder(s) must also be the annuitant(s). The policyholder can be a testamentary or spousal trust . The annuity must be non-commutable. 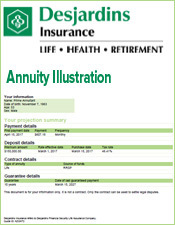 Annuity payments must start by December 31 of the year following the purchase date . 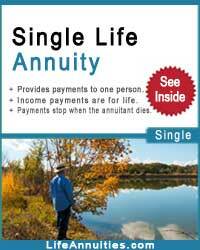 Annuity payments must be equal, not indexed, and made regularly and at least annually . 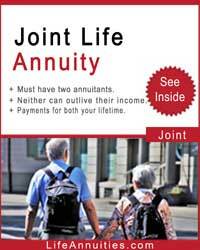 Payments may reduce on the first death under a joint life annuity . 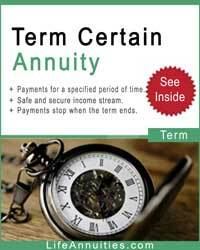 For a guaranteed or fixed term, the term cannot extend beyond the annuitant’s 91st birthday. 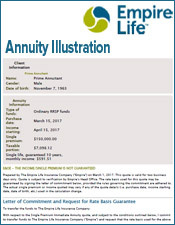 For joint life annuities, the age of the youngest annuitant can be used. Prescribed taxation applies automatically if the above conditions are met. The policyholder can request accrual taxation but must inform us in writing before the end of the year in which payments begin. A policy could change tax treatment during a year if one or more of the qualifying conditions changes. For example, when an annuity with an income start date deferred beyond December 31 of the year following purchase begins payments, the tax treatment would change from accrual to prescribed. 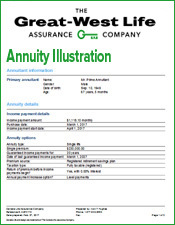 In contrast to a prescribed annuity, income from a non-prescribed annuity – also known as an accrual annuity – is taxed on interest earned in the policy from the purchase date to the policy anniversary, and then annually on each policy anniversary. Generally speaking, non-prescribed annuities have larger taxable amounts in the early years than similar prescribed annuities. These amounts decrease each year . Under a non-prescribed annuity, a policyholder in the early years of the policy may be required to include in taxable income an amount greater than the annuity income received in a given year. Any unreported taxable gain (interest earned) from a life insurance policy issued prior to December 2, 1982, isn’t taxable until the policy is surrendered or annuitized. 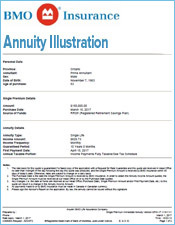 Upon annuitization, any unreported taxable gain will be spread over the expected number of annuity payments. 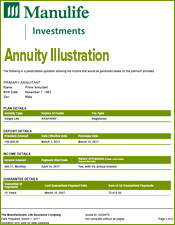 - Registered annuities are non-taxable during the deferral period . 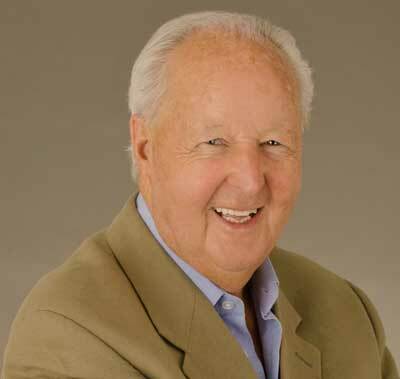 - All annuities are taxed on an annual basis and receive accrual tax treatment . Once income payments begin, and assuming all conditions are met, the tax treatment will change to prescribed* . The tax treatment remains accrual if the conditions are not met or the client requests that the tax treatment remain accrual. 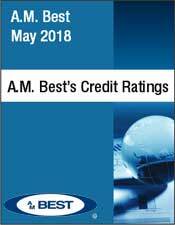 * For an annuity with prescribed taxation if income is deferred more than one year from purchase, tax treatment will be accrual until payments start. Tax is withheld at source and remitted to the Canada Revenue Agency (CRA). The payment a client receives is net of withholding tax . Note: Illustrations and policy pages show gross income, not net income. We must withhold tax if the policyholder purchased the annuity with locked-in registered pension plan (RPP), non locked-in RPP, LIF or deferred profit sharing plan (DPSP) funds . We base the tax withheld on formulae supplied by CRA . 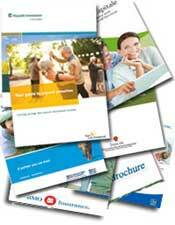 It incorporates various personal tax credits, including basic personal, disability and pension income. We can withhold additional tax at the client’s request . A policyholder can ask us to withhold their entire periodic payment amount. Registered and non-registered (prescribed or level taxation) – We can withhold any amount of optional tax . The request must come from the policyholder and the amount should be stated as a percentage. Non-registered (accrual taxation) – We cannot withhold tax. When the policyholder of a payout annuity becomes a non-resident, we base their tax on the source of funds used to purchase the annuity and the policyholder’s country of residence. Canada imposes a withholding tax of 25 per cent on payments made to a non-resident of Canada. This rate may be altered by a treaty between Canada and the country of residence. An individual may apply to CRA to have the amount of statutory withholding tax reduced . If CRA approves the request, they will notify the institution of the proper tax deduction. 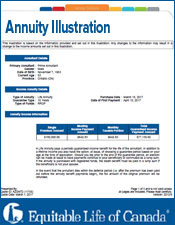 For a deferred annuity, no tax form is issued during the deferred period . Once payments begin, Canada imposes a withholding tax. 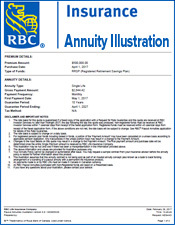 Income from a payout annuity may qualify for income splitting for income tax purposes . This would allow the policyholder to transfer to their spouse up to 50 per cent of the taxable income earned from the payout annuity . The income splitting is done by the policyholder on their annual tax return . We will issue a tax slip to the policyholder for the full taxable amount. 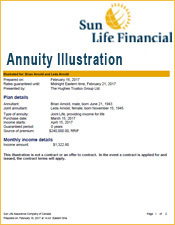 Income from a payout annuity may qualify for the federal pension income tax credit . 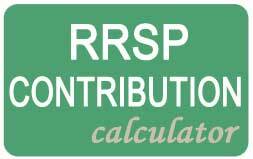 This credit can be claimed in the non- refundable tax credit portion of a client’s tax return if the taxpayer has eligible pension income . The maximum credit is $2,000. For individuals under the age of 65 - payments from a life annuity sourced by pension funds – Box 16 of a T4A f or i ndividuals of any age - payments from an annuity purchased with death proceeds, regardless of the taxpayer’s age. If a taxpayer’s taxable income is too high, some government benefits may be reduced or not available. Or, the taxpayer may not qualify for some income-tested tax credits. Investment income is included in taxable income at different rates . For example, interest income is included on a tax return at 100 per cent, and dividend income is “grossed up” before it’s included in income . For income from a prescribed annuity (non-registered), only a portion of a payment is taxable and the taxable portion is the same every year. A client may be able to restructure their investment portfolio to reduce their taxable income by using some of their assets to purchase a prescribed payout annuity . The client can maintain a desired level of income but reduce taxable income, which will allow them to avoid the clawback or disqualification from some benefits or credits. 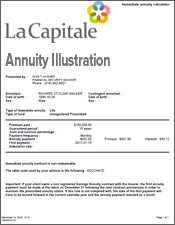 If the annuity is purchased with locked-in money, the contract and the income may be protected from creditors based on applicable pension legislation. 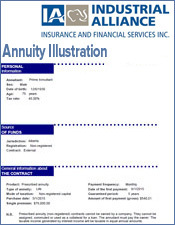 If the annuity is purchased with non locked-in money, during the guaranteed period, the contract and income may be protected if there is an appropriate family or irrevocable beneficiary designation. The information in this section reflects our understanding of current federal and provincial income tax laws. Annuity taxation laws are subject to change; rules and restrictions may differ in the future. It’s important to seek advice from a tax consultant regarding the tax implications for your individual situation.